You might not have heard of Mobileye, but you've definitely heard of its products, and probably even used them. The Israeli tech company is a major, albeit mostly behind-the-scenes player in the emerging self-driving technologies industry, supplying automakers with the computing firepower needed to help cars mitigate dangers as they arrive. 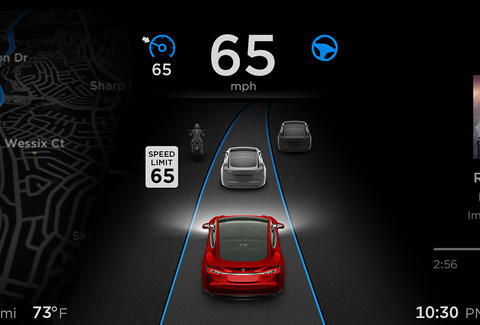 Mobileye has many clients, including Tesla, Ford, GM, Volvo, and BMW, and it's the supplier on which Tesla bases its controversial Autopilot system. Yesterday, the company announced it will not renew its contract with Tesla -- a potentially damaging blow to Tesla's already-eroding image. Why did it do it? Well, it really had no choice, given Tesla's hardline stance on a self-driving car timeline. Ultimately, this might wind up being a good thing for both Mobileye and Tesla. To be clear, that's not the exact verbiage Mobileye is using. The company did, however, point out that the current system isn't designed with anything remotely resembling fully autonomous driving in mind -- and that includes the semi-autonomous Autopilot that Tesla so staunchly stands behind. It's concerned about its reputation in light of all the negative attention Tesla has been garnering recently. As Mobileye itself told Ars Technica, "there is much at stake here, to Mobileye's reputation and to the industry at large." The company is what's considered a tier-two supplier, which means it works directly with the biggest companies you've never heard of to supply sensors and systems to a veritable slew of cars you do know. In other words, Tesla is a small fish in the very large ocean in which Mobileye swims, and any potential damage to its reputation caused by a company like Tesla pushing the systems beyond their engineered intent is simply not worth the risk. There's a certain irony here, in that Mobileye is possibly ending its relationship with Tesla over the degree to which Tesla's Autopilot system takes over driving control, while at the same time preparing to develop fully autonomous systems in a recently announced three-way partnership with BMW and Intel. Furthermore, indications are strong that it's in the later stages of negotiating a similar deal with VW (which, obviously, includes Audi, Porsche, Bentley, etc...). The aim is to get cars on the road that truly don't need a driver in order to be safe. Such a project, done to a level of safety that can satisfy even the most conservative of lawyers, requires a level of patience that Tesla, or more specifically, Elon Musk, has never shown. What's the future of Tesla's Autopilot? 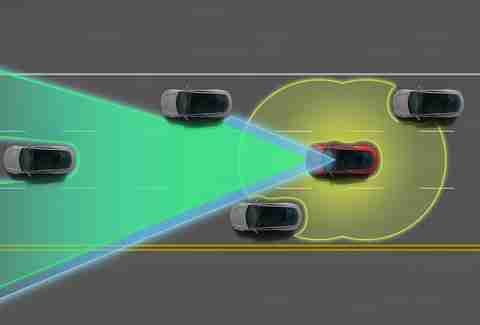 Well, Mobileye will continue to supply Tesla with its current generation of EyeQ3 chips -- the innovative brain that effectively enables crash mitigation in vehicles -- for the Model S and Model X. The upcoming EyeQ4, however, won't be in a Tesla. That means for the next generation of Autopilot, Tesla has two options: build a system from scratch, or find a new partner that's willing to push the envelope at the pace Musk desires. The former requires serious investment -- the kind Tesla really isn't in a financial position to undertake, so that leaves Musk and company looking for a new playmate. Mobileye does, in fact, have a rival that Tesla could turn to, in the form of comma.ai. It's a brand-new endeavor started by a Red Bull-swilling entrepreneur whose claim to fame stems from hacking the iPhone when he was 17. He's made numerous statements about Mobileye's speed of innovation -- or lack thereof -- and is very much of the same mind as Musk when it comes to pushing the envelope. 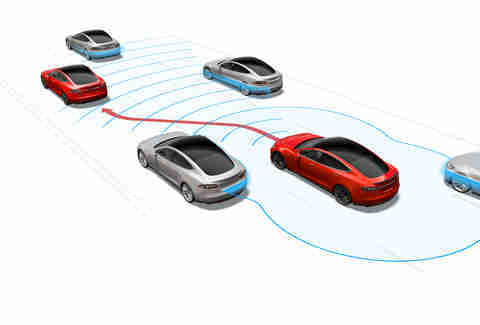 In fact, he went so far as to bet Musk that his homemade self-driving car can outperform a Model S along the 405 in LA. Seems like a match made in heaven. Time will tell how this will play out, but it's becoming clear that there's a proverbial line being drawn in the sand between companies that would rather wait and present a polished product in four or five years, and those who would rather advance the rate of progress, risking the abuse of such a system at the hands of an enthusiastic-but-unwitting customer base. So far, Tesla stands as the lone manufacturer in the latter camp. Aaron Miller is the Cars editor for Thrillist, and can be found on Twitter and Facebook. He looks forward to the day autonomous cars take control out of the hands of bad drivers, but he dreads not being able to drive himself.